A once in a lifetime experience! Witness the legendary Humpback and Southern Right whales up close and personal on a Sunshine Coast Whale Watching Cruise. Join the friendly crew of one of the Sunny Coast’s best cruise operators for a whale watching experience departing from Mooloolaba. The cruise is over 3 hours duration, where you’ll embark on a whale watching tour that is jam-packed with spectacular scenery, up-close whale encounters and a delicious morning tea. Jump aboard a luxurious vessel that takes guests on an exclusive whale watching tour with limited numbers to ensure you get the best possible views of the whales from the spacious decks. The cruise departs at a range of times daily between July and October. You’re guaranteed a 100% whale sighting or money back guarantee! Take in the sights of the Sunshine Coast from the water and see the whales in a single tour. 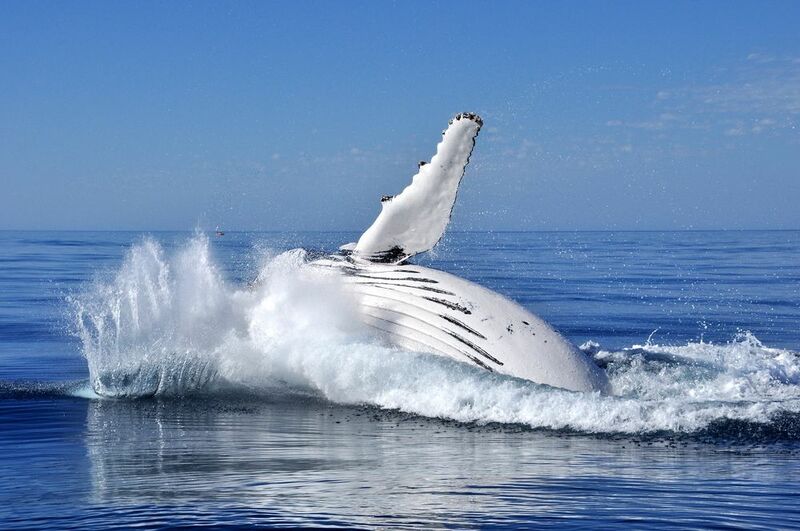 BOOK yourself a whale watching cruise online today with Experience Oz. Prices start from $59 Adults and $39 Children.